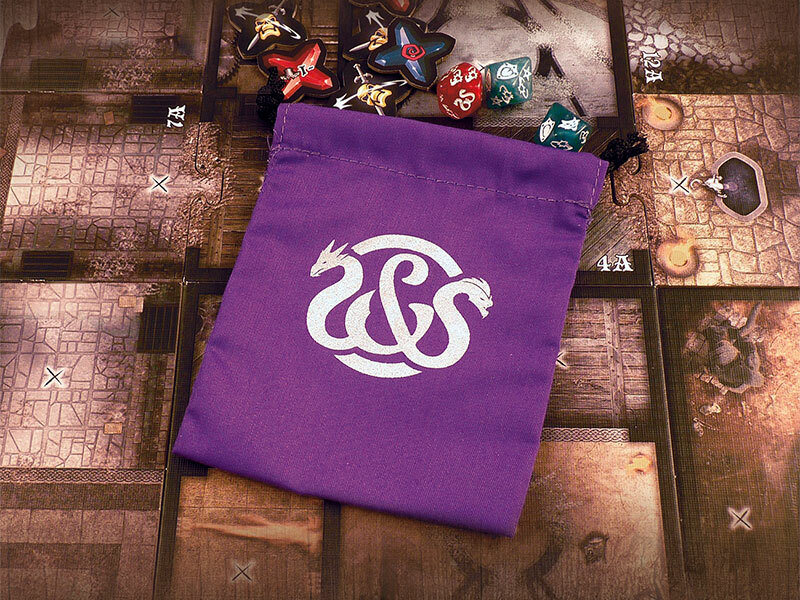 A stylish accessory to hold your dice and draw Critical Hits! A fine silkscreen-printed cloth bag with metallic silver imprint. 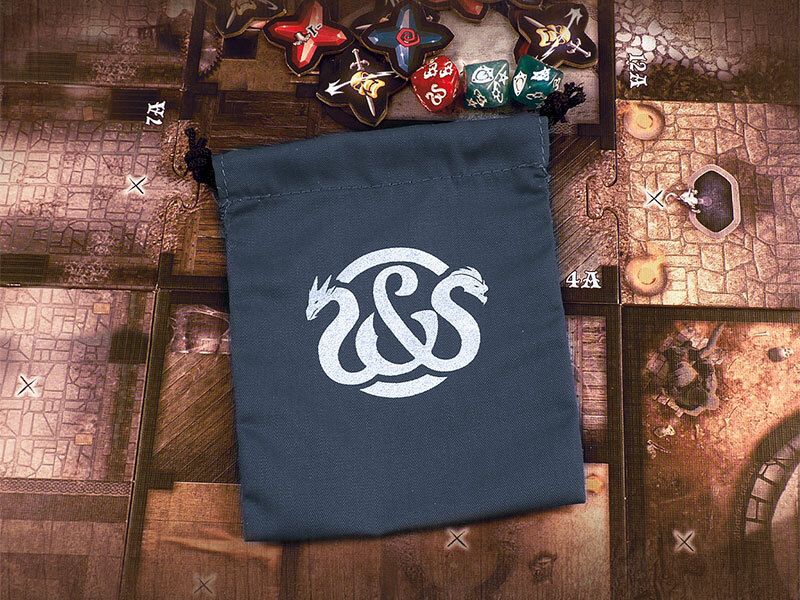 Use this bag to randomly draw Critical Hits during your quests, or as a stylish accessory to carry your dice around when playing Sword & Sorcery® or any other fantasy adventure game. Available in two colors (black and purple).